On 20 March 1905, a group of Hobart women, led by Mrs Colonel Cox with Emily Dobson organised a meeting in the Hobart Town Hall to form the Tasmanian Consumptives Association, with the aim of establishing a sanatorium in Hobart. Governor Sir Gerald Strickland was Patron. An Executive Committee of 20 (10 men and 10 women) was formed, with the Premier and Chief Secretary, the Hon J.W. Evans, as President; the Bishop of Tasmania, Dr Mercer, as Vice-President; J.P. Bradford as Honorary Secretary; and Rudolph Koch as Honorary Architect. From 1906 to 1945, the Association had only two presidents, Sir John Evans and Rudolph Koch. The sanatorium opened on 5 December 1906 in the far corner of the grounds of the New Town Charitable Institution, off Creek Road (later the site of the John Edis Hospital). Initially, there were temporary tent shelters. The sanatorium included an administration building and one single bed unit and two two-bed units, designed by Rudolph Koch and located on the lower part of the site. The sanatorium developed as a village, with all patients in separate units which opened at either end and had strategically placed vents to encourage airflow. In 1911, a ward for advanced cases opened, with 20 beds. In 1913, another two f-bed chalets were built. In 1917, two 6-bed chalets were built for military patients and the following year, the 'Indoor Rest Home', or the 'Home for Advanced Cases', was built. The separate two-storey Dining Room and Kitchen Block (1919) may have been designed by Koch or R. Flack Ricard for the Public Works Department. It was later used for 'Meals on Wheels' and for 'Holyoak'. These new buildings marked the change from the village-style sanatorium to an institution. Koch also designed the Night Nurses Chalet (c1919). Building of chalets continued through the 1920s. In the first five years, funding came from 'entertainments' organised by Emily Dobson and other committee women with subscriptions from the Ministering Children's League (Franklin Branch). An extension of the administrative building and a new chalet were funded by proceeds from the Beaumaris Zoo, donated by Mary Roberts. 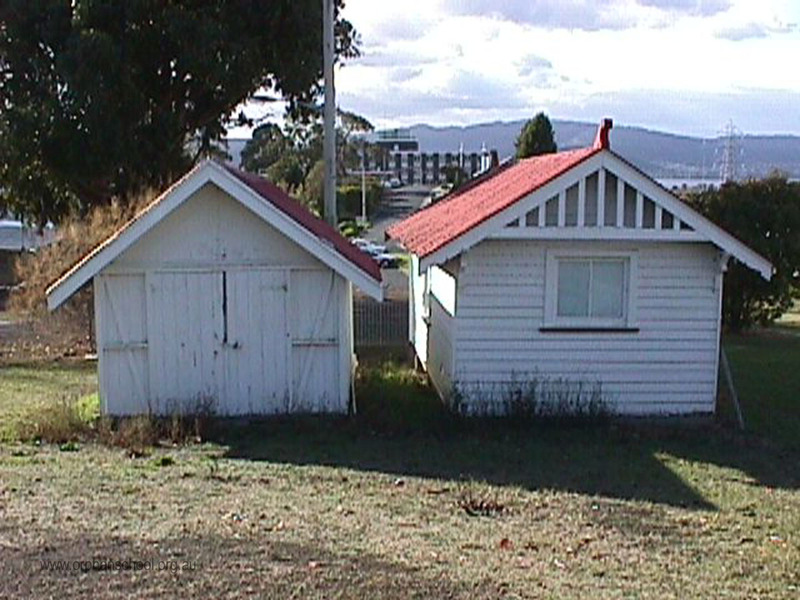 Donated chalets were named by or for benefactors: Alan Rogers; Galbraith; Gilchrist Watt; Countess of Meath; Rechabite (International Order of Rechabite); Beaumaris; Rex; Bellette (Ouse District); Hamilton District; Denison (Hobart residents); Sunbeam's Children's Chalet (with four beds, donated by Mrs E.J. Rogers and Mrs E.C Baxter); Dobson; and Druids. 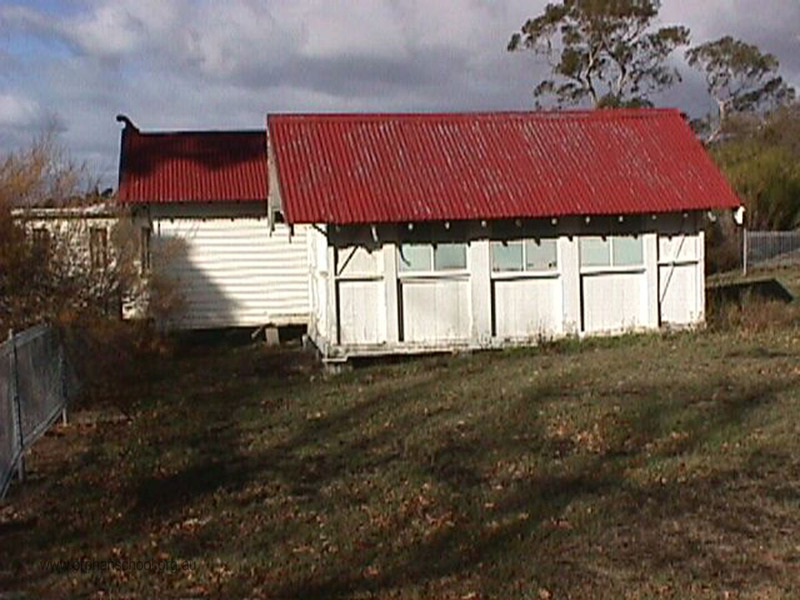 By 1911, a number of societies and organisations were contributing financially, including the Hobart branches of the Australian Natives' Association and the Southern Tasmanian Friendly Societies Association. The Wattle League sold wattle blooms and badges for the Sanatorium on their annual Wattle day. The wattle later became the symbol of the fight against tuberculosis in Tasmania. Wattles were planted in the grounds, transforming the rocky site. The annual Wattle Day appeals raised £32,800 in 32 years. The Tasmanian Football League, the Tasmanian Racing and Trotting Clubs, Hobart Greyhound Club and the Waterside Workers' Federation were also generous donors. Life memberships were conferred on F.H. Peacock, A.G Kemp and E.H. Kennedy for substantial individual donations. Long periods of service were given by matrons McQueen, Mitchell, McKendrick, Sister Mckenna, Matron Luckie, Sisters Boley, Honey and Nurses Simpson and Long. 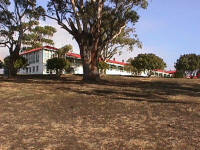 In 1945, the Sanatorium was handed over to the State Government, largely at the instigation of Dr F Gaha, and the committee became the Tasmania Sanatoria After Care Association. Significant remodelling of the site took place in the 1950s. 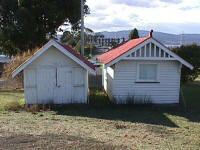 Two chalets remain, relocated from the former John Edis Hospital site. The Rogers Chalet and the larger Rechabite Hut, both designed by Rudolph Koch, date from about 1906. 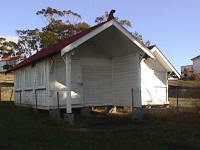 They are of national heritage significance and are the subject of one of current conservation projects.